Sheila at Book Journey wants to know! 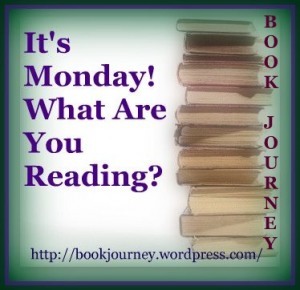 This is my first time taking part in What Are You Reading? and I'm pretty sure I should also be talking about what I'll be reading throughout the rest of this week. Uh oh, I'm not sure yet! I'll be hitting the library today and I'll update later. Don't hold your breath now. Ha. Per Goodreads: A mom in her early fifties, Clover knows she no longer turns heads the way she used to, and she's only really missed when dinner isn't on the table on time. Then Clover wakes up one morning to discover she's invisible--truly invisible. She panics, but when her husband and son sit down to dinner, nothing is amiss. Even though she's been with her husband, Arthur, since college, her condition goes unnoticed. Her friend Gilda immediately observes that Clover is invisible, which relieves Clover immensely--she's not losing her mind after all!--but she is crushed by the realization that neither her husband nor her children ever truly look at her. She was invisible even before she knew she was invisible. Clover discovers that there are other women like her, women of a certain age who seem to have disappeared. As she uses her invisibility to get to know her family and her town better, Clover leads the way in helping invisible women become recognized and appreciated no matter what their role. 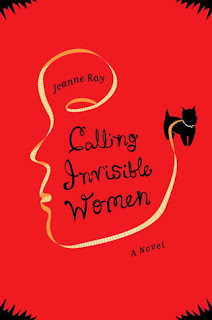 Smart and hilarious, with indomitable female characters,Calling Invisible Women will appeal to anyone who has ever felt invisible. Hilary Mantels Bring Up the Bodies is making a big splash right now, and I'm dying to read it. 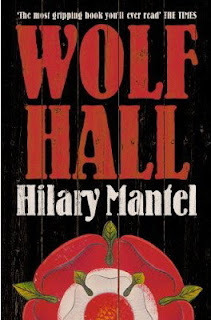 But I cannot until I've read the prequel Wolf Hall. Per Goodreads: "Lock Cromwell in a deep dungeon in the morning," says Thomas More, "and when you come back that night he'll be sitting on a plush cushion eating larks' tongues, and all the gaolers will owe him money." This one isn't scary in a traditional way..no haunted houses or murders or anything like that. But the suspense and the not knowing are what are driving me to distraction! :) Happy reading to you as well! Welcome to the It's Monday group! I'm curious what about this book was so scary? I haven't read anything by Theroux. I like a scary book but some things are too disturbing (and it's usually not the traditional horror). Thanks for visiting my blog! Hmm, maybe scary wasn't the right word to use ;) Anxious perhaps? Reading about the situation this man is in makes my heart pound a little faster. You're welcome, and thanks for visiting me! Yay for your first Monday reading post! You did it perfectly. Sometimes I know what I'll be reading next and sometimes I don't. I hope you get your way through the Theroux book safely. Thanks Joy! So far so good, I'm really hoping to wrap it up tonight/tomorrow morning because I can't wait to see what happens! oooh...sounds like a good suspense book! You did fine on your first MOnday post! I never know what I will be reading next either (I like to choose my next book based on my mood), so I post about what I read in the past week and what my family is reading. Thanks for stopping by my blog and taking the time to comment - I will tell my son about Gladwell's upcoming release! Now I know what I'll be reading next, thanks to a well timed trip to the library :) Yay! I like a good suspense story every now and then. This is one of my favorite memes because it keeps my reading organized. I'm glad I found this meme, being organized is one of my challenges so anything that helps is very welcome! Sounds like a book I'd enjoy. I'll have to check out your review when you're done. Calling Invisible Women is one I want to read. Have a great reading week. Hey there. Saw you pop into our blog and comment and I wanted to return the favor. Very nice blog. Very easy on the eyes. Calling Invisible Women has intrigued me. Thanks for visiting. You bet Marce, and right back at you! Calling Invisible Women sounds fascinating. This is the first time I've heard of it. I've been wanting to read Wolf Hall forever. It's even on my bookshelf. I just haven't had time yet... Hope you enjoy it! Calling Invisible Women sounds like a must-read! Thanks for sharing...and for visiting my blog. Anytime Laurel, have a fab week! Wolf Hall looks amazing. But then again, all the books coming out about the court of Henry VIII these days look amazing. I'm a giant fan of that time period and of the court of Henry VIII in particular. Thanks for stopping by my blog! We do have similar tastes in reading! I just got Wolf Hall this week too, plus the new Bringing Up Bodies - so I'll have to settle in for a marathon reading session! I'm a little ways into Wolf Hall and I'm in love already! I can't wait to dive into the next installment. Oh, I heard that there will be a 3rd book coming as well, yahoo! Thanks, I'm a very new blogger...learning every day! I feel my TBR list growing . . .
Ha ha Grace, it's never ending isn't it? Thanks for stopping by! Wolf Hall does sound good. Intelligent and well plotted historical fiction does just make us ponder history, it can lead us to truths about politics and society in the present day. Brian, that might be my favorite thing about historical fiction. If it's done well you can see the parallels clearly. The more we change the more we stay the same. Calling Invisible Women sounds like a really interesting read. I'm definitely adding it to my TBR list! I like scary books, my favorite 'scary' books growing up was Nancy Drew lol.